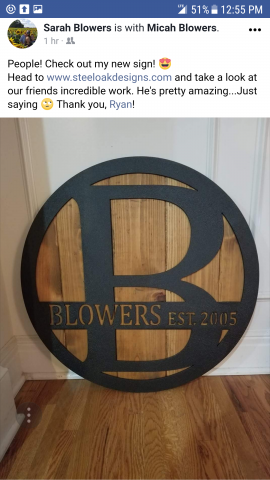 A friend gave this to his wife. She likes it so much she posted it on Facebook which is where I took this screen shot. The metal was powdercoated, mounted on cedar with stainless steel hardware for a long life in the crazy KC weather.